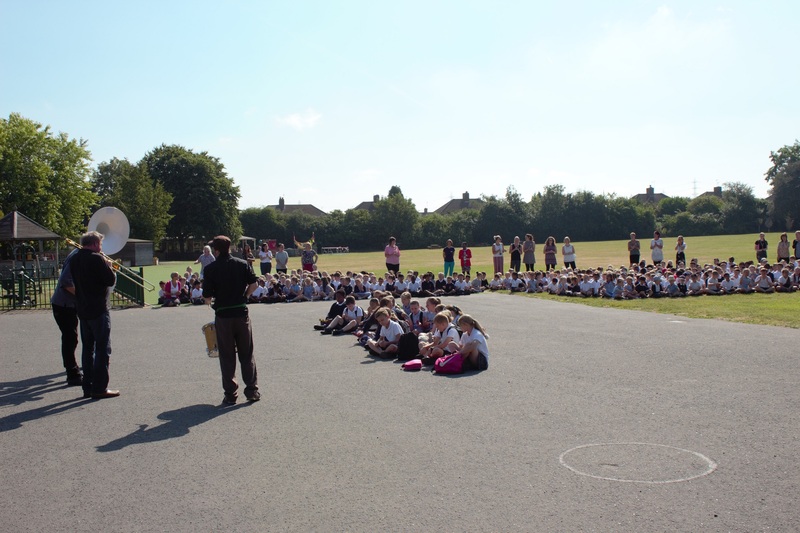 Over 12,000 miles have been trod, pedalled, and scooted by pupils across Kent in a scheme to get children using more active methods to get to school. Operation Motion: Giant Steps is a Kent County Council initiative which aims to challenge the way parents do the school run and hopefully ease congestion in and around school grounds. It involved 10 classes; one class each from 10 schools right across Kent, recording their progress daily and feeding this data into the online live leader board. For The Brent Primary School in Dartford, the winners of the challenge were awarded with silicone sports watches and a Brass Band Walk To School Event was their 1st prize! 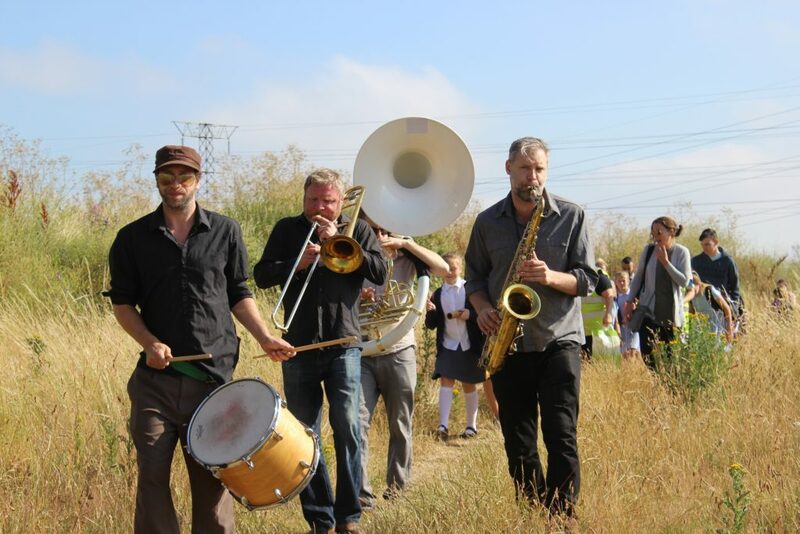 With a saxophone, sousaphone, drum and a trombone in tow, the children and their families walked half a mile to their London Road school, much to the amusement of morning commuters who were greeted by pupils and their teachers and were able to also enjoy the tunes. KCC Transport Planner, Iona Rogulski, said: “We run the scheme throughout May and encourage parents and pupils to think about their school run and travel more sustainably to school, whether it be by walking, cycling, scooting. “If journeys are too far to travel actively all of the way to school, we challenge parents to change their routine and try to “park and stride” to school, car share or consider public transport if appropriate. “The overall aim for me is to reduce congestion around the school and make journeys safer for children travelling to/from school. As well as this, I also want to promote healthier alternatives to driving and, ultimately, more sustainable methods of travel. Taking part in the challenge were: The Brent Primary School, Whitstable Junior School, West Hill Primary Academy, Istead Rise Primary School, Archbishop Courtenay Primary School, Cranbrook CE Primary School, St Peter’s Catholic Primary School, St John’s Catholic Primary School, Kings Hill School, and Speldhurst CE Primary School. In first place was The Brent Primary winning a Brass Band Walk To School Event and sports watches, second place was Whitstable Junior School winning a scooterpod – storage for scooters – as well as each pupil receiving a Silicone Sports Watch, and in third was West Hill Primary School winning hi-vis Walking Bus waistcoats and Silicone Sports watches.